Iconic, simplicity, innovation—these are all words that can be used to describe both Leica and Apple, two companies that have set themselves apart for their marriage of top-of-the-line technology with instantly identifiable design. 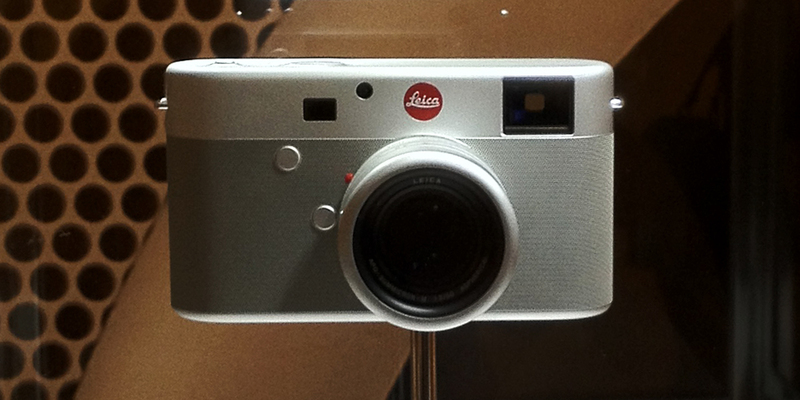 So when Apple designer Sir Jonathan Ive approached Dr. Andreas Kaufmann, Chairman of the Supervisory Board for Leica, about collaborating on a special edition camera, Kaufmann says the company jumped at the opportunity. 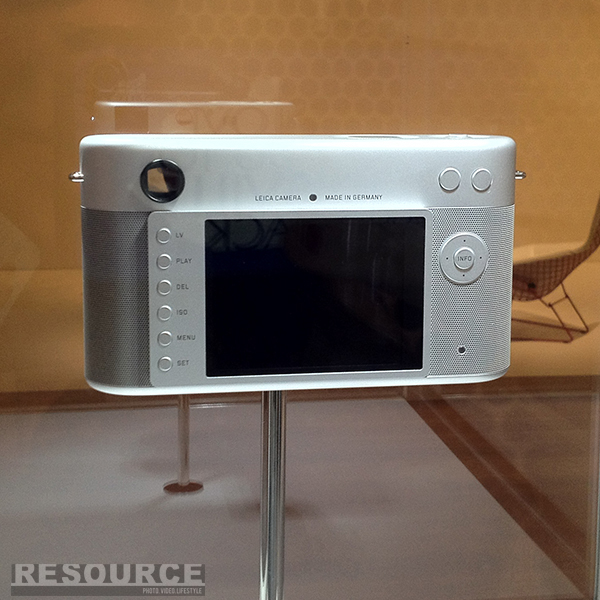 The camera, which the company has been working on since last December, is the product of over fifty engineers and over nine hundred prototype parts, according to Daniel. The body of the camera, which is built out of a single, solid block of aluminum, is finished with more than 21,000 little holes, engraved into the body by laser at the Apple factories in Cupertino. That process alone takes ninety-six hours, he says, a fraction of the time spent designing and manufacturing this unique piece of machinery. While the interior of the camera—electronics, shutter, software, sensor—is standard to the classic Leica M, over one hundred parts had to be redesigned or modified to fit with Ive and partner Marc Newson’s design. “Jony simplified everything, and I mean that in the sense of reduced,” explains Daniel. 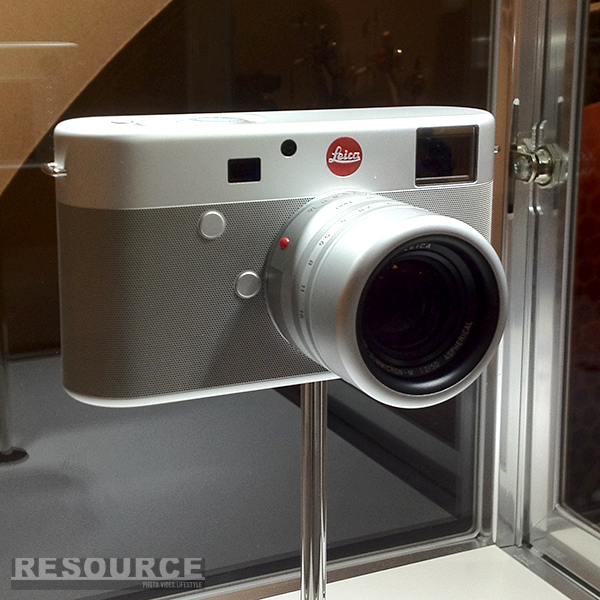 Newson echoes his sentiments, “The Leica object embodies the most iconic qualities of a camera. 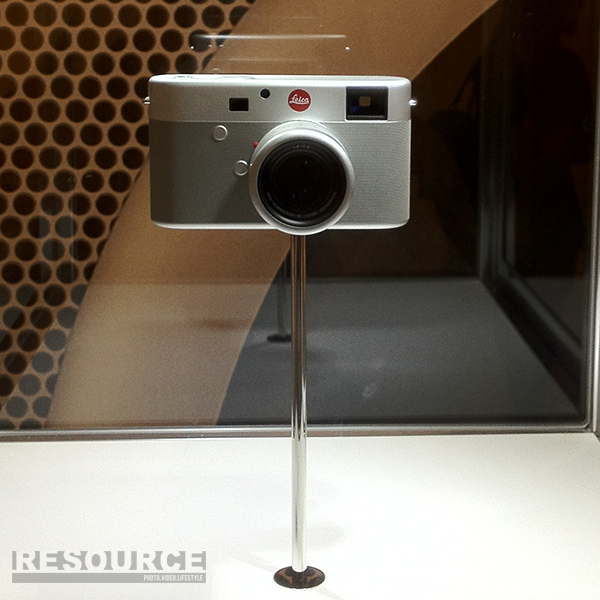 It ended up being a process of distillation and concentration.” But while some elements have changed, the Leica team says the camera remains true to the principles that have come to define the iconic brand. The Leica camera was one of forty-four items up for auction at Sotheby’s on November 23rd as part of “Jony and Marc’s (RED) Auction,” with all proceeds going to benefit the HIV/AIDS charity founded by Bono and Bobby Shriver in 2006. Ive and Newson curated the entire catalogue, and the Leica was one of a handful of items designed by the British duo themselves, alongside an aluminum desk and a custom Dom Perignon cooler. With a final sale of a cool $1.8 million, the camera is also the most expensive item on the books, although it didn’t quite shatter the record set just last year for the most expensive camera ever sold (also a Leica, one of only twenty-five 0-series models produced in 1923, which went for a whopping $2.77 million). Whether it was the competition or the holiday spirit of giving, wallets seemed to be wide-open at the Sotheby’s event, which raised an incredible $26.2 million, all of which will go to fight AIDS, tuberculosis, and malaria in Africa. ($13 million of that total was from the auction sales themselves, while the other half came via a matching donation from the Bill and Melinda Gates Foundation. Somebody is definitely going on Santa’s nice list this year.) Other Apple offerings on the auction block included a special (RED) Edition of the highly anticipated Mac Pro as well as a pair of solid rose gold Earpods, both custom Ive and Newson designs that fetched $977,000 and $461,000 respectively (the Mac Pro broke the record for most expensive desktop PC ever built or sold, shattering the previous world record set by Zeus Computer’s novelty platinum, gold and diamond-encrusted models). 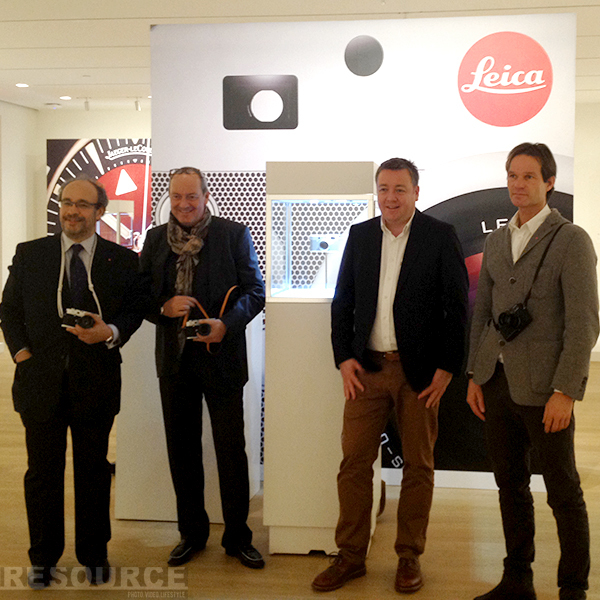 Whoever won the Leica RED camera now owns a once-in-a-lifetime piece of photographic history, at once a part of the heritage that Leica holds so dear while also representing the cutting edge of modern design and technology. “Many iconic images were shot with a Leica,” says Keil, “Which all contribute to the heritage of the camera,” adds Schopf. “We have a saying: With other cameras, you take pictures. With a Leica, you make pictures.” But with such a hefty price tag, do they actually expect this camera to add to that historic catalogue of photographs? this may be an Ive design, but AppleCare for the camera is currently unavailable.